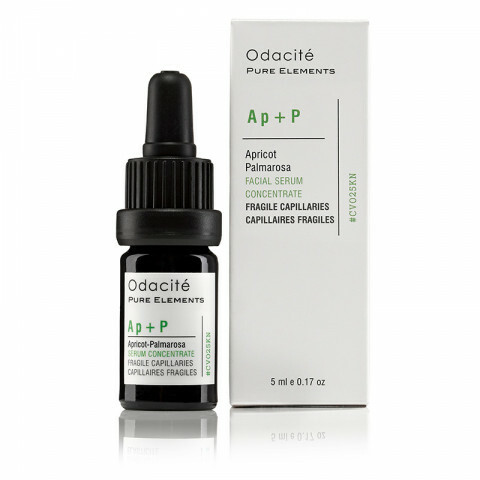 Deeply soothing serum particularly recommended for fragile capillaries and to help heal inflamed, irritated skin. Used for centuries in Chinese medicine to treat inflammatory skin disorders, Apricot oil contains numerous minerals and vitamins that contribute to improving microcirculation and strengthening capillary walls. Palmarosa oil helps to reduce the appearance of broken capillaries and further supports sensitive skin with its moisturizing proper ties.